The logistics were taken care of. I Googled where the closest REI was, I got the day off work, and I even convinced Burt and our roommates to get the day off work as well so we could take the three-hour journey to Pittsburgh together to make a day of it. 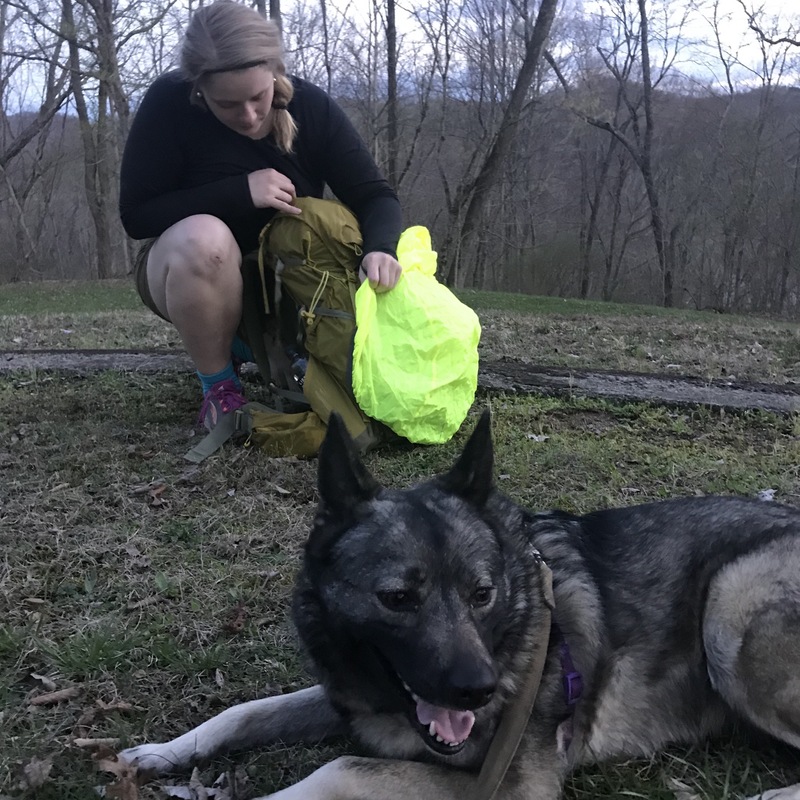 I had a healthy lump-sum of money from some extra work I had taken on, and I decided I wanted to spend a little bit of it on trading in my old Ozark Trails 45L Walmart pack for a pack that more specifically fit me and my needs. The night before we took off, I was lying in bed at 1 a.m. consuming all the media I could find (especially videos) on packs I might come across at REI. I wanted, roughly, a 45L pack in the $150-$200 range. I went to sleep that night with two packs in mind to act as my “starting point” the next day. 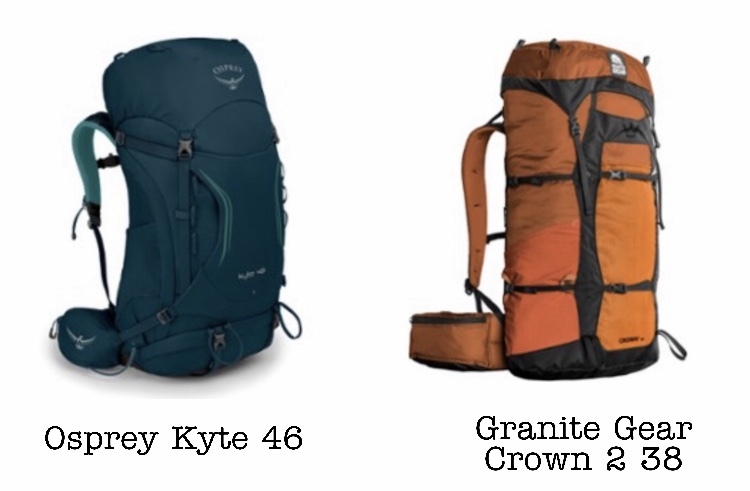 The Osprey Kyte 46 pack for women, and the Granite Gear Crown 2 38 pack. I loved the fact that the Kyte was specifically designed for a woman’s body, and I was intrigued by the roll-down top and compression straps on the Crown 2. 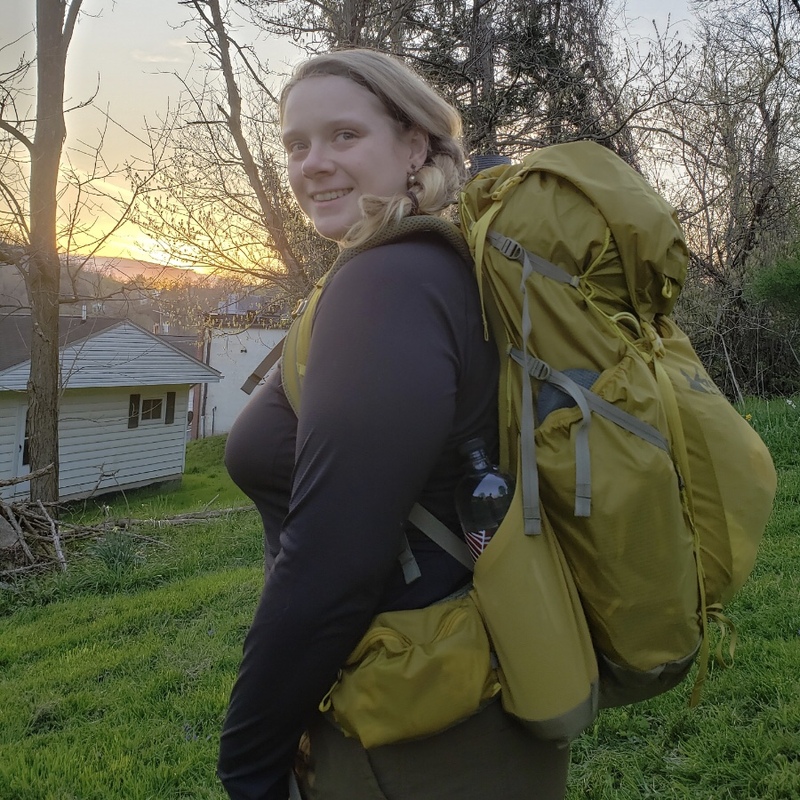 I was downright giddy as I walked into the Pittsburgh REI and answered the question, “Hi, do you need any help finding anything?” With a confident, “Yes, I would like to be fitted for a pack.” I had an exceptional experience with the woman who helped me. She told me they didn’t carry Granite Gear packs in the store, but that the Kyte 46 was her personal pack and she had been very happy with it. After she found out I planned to attempt the whole AT, she gently encouraged me to possibly consider a 50L pack. I wasn’t entirely opposed to that idea, but I still wanted to try to fit all my stuff into a smaller pack first. Remembering the roll-down top feature of the Crown 2, I asked her if they had anything similar to that I could try. 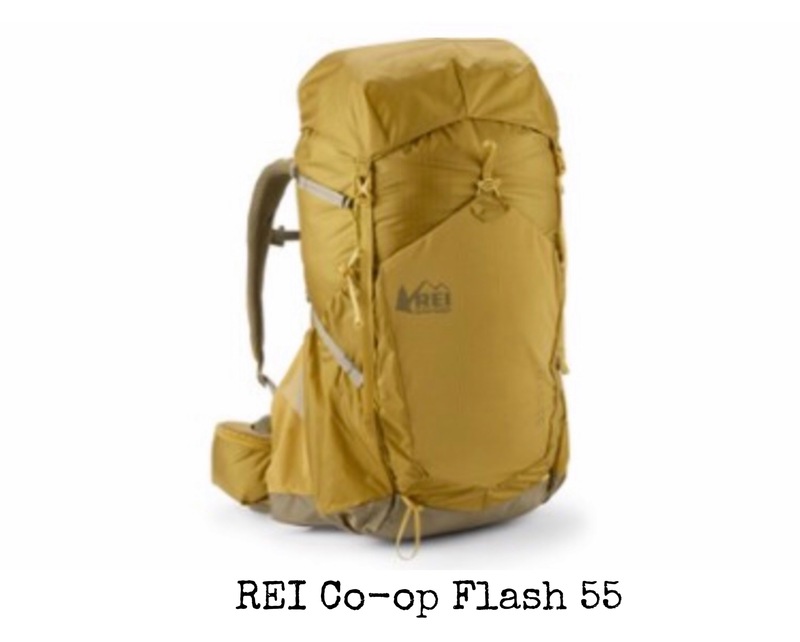 She brought over the REI Co-op Flash 55 pack for women. It was right in my price range at $199, and had all the features I thought were cool about the Crown 2, but even better, it was built specifically for a woman’s body. My chubby sleeping bag fit perfectly down in the bottom. Also, the brain, hip belt pockets, and strap pocket could easily be removed or put back on, depending on my own choice. We had found a very clear winner! 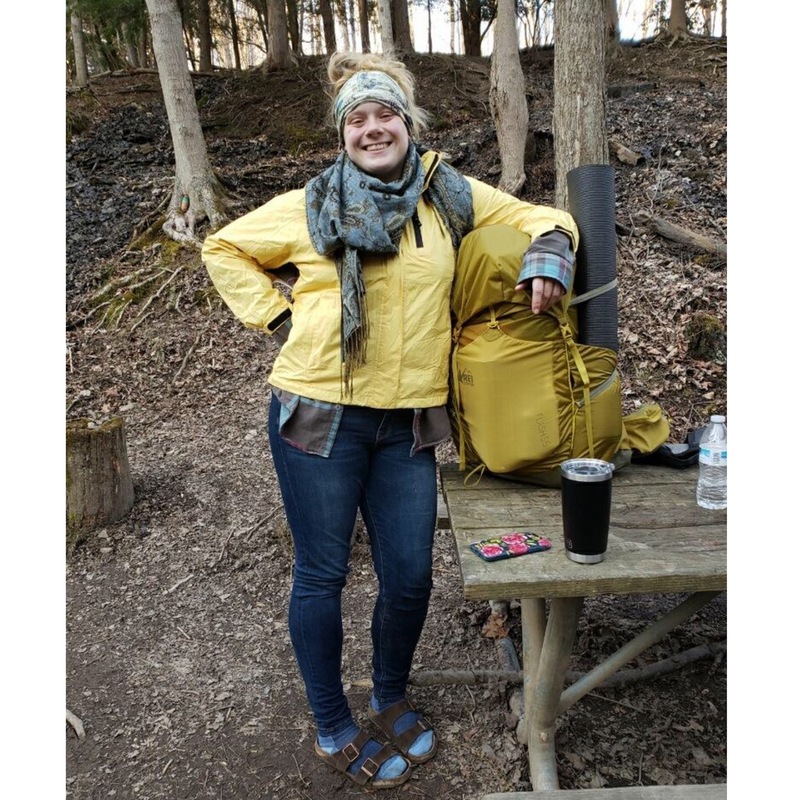 I was then taught how to adjust the straps to relieve pressure in different areas of my body, and that is when I learned I have been wearing my pack wrong for the past three years, which has always resulted in my sternicleidomastoid muscles flaring up during past backpacking trips. Never underestimate quality, in-person education, people! It has been close to a month now since I’ve had my pack, and I’ve been trying to get a good hike in with it every day that it’s possible. The pack didn’t come with a rain cover, but my old pack had one, and thankfully it fits perfectly. (Although the color combination is a bit unfortunate.) I also plan to line the inside of my pack with a contractor bag for extra rain protection. One thing I thought I had figured out was the fact that I was going to carry two water pouches, both with the capacity to hold two liters of water. Since using my pack frequently, I have discovered two side pockets that I didn’t imagine I would care about. These two pockets are shaped to hold most water bottles, and are angled just the right way to allow me to conveniently reach back and grab my water bottle while I’m moving. I’ve always thought the water pouches were inconvenient once I got to camp, so since discovering and falling in love with these pockets, I have decided I’m going to carry two one-liter water bottles instead. Just look at that water bottle all nestled in its perfect pocket! The last pack-related issue that the jury is still out on is: fanny pack or no fanny pack? I have always been happy with my fanny pack in the past, but also have never had a pack with hip-belt pockets. The more I use them, the more I’m getting used to them, and the more I start to think that maybe the fanny pack is becoming irrelevant in my particular case. I will need to do a true shakedown hike to really know for sure. Each decision so far has been slowly calculated in order to be as deliberate as possible. My gear is in a constant state of morphing, still, and there are 46 days left until I embark. With every decision, my world becomes a little more solid. There is still so much to do, but finding the perfect pack was an exciting step! Im Sara, and I’m doing a 2019 AT Flip-Flop attempt. I’m a 26 year old woman from West Virginia fiercely dedicated to my personal, spiritual, emotional and physical growth. I generally view life with a good sense of humor, and I take not-taking-life-too-seriously pretty seriously. I have a background in music, yoga, and education and I’m searching for a career path that doesn’t feel like it’s stomping the spirit out of me. I enjoy sharing my life with people in the hopes that it brings a little more honesty, light, and good humor into the world. Great post! You’ve made me feel a bit guilty about my own “… how much is it..? Yeah- it’s pretty comfortable… I’ll take that one…” approach to pack buying. I wish any of the sales staff in the shops I went to knew half so much as she seems to have! Oh, please don’t feel guilty! I’m a big over thinker when it comes to big purchases so I needed that extra support. Every employee at the REI I went to seemed to be very knowledgeable in their particular area so I was thankful for them and their help! I’m sorry you didn’t have that kind of support when you were making your big purchases; that can be so stressful! Going on my first 30k field test of my Osprey Kestrel tomorrow. My wife has the Kyte but she can’t be coming along. Like you, I’m not sure what do with the belt pockets. Car keys for now. I’m thinking they may become where I keep my foot powder and bandages. Right now I’m using the hydration pack. Filled to 3l. I’m seriously thinking of going to the two bottle system you use. It’s fun to load up on videos as we figure it out ,though. We’ll get it all sorted before our Camino.